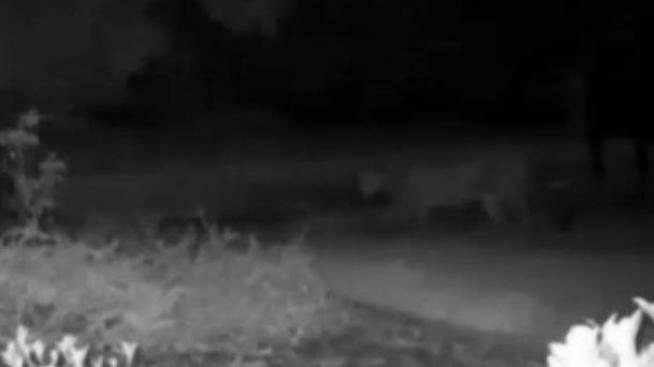 Surveillance video shows a mountain lion crossing a front yard of a home in San Jose's Alum Rock. The video was recorded early Friday morning by resident Marlow Cortese. Video she recorded from the same motion-detection camera on the previous morning shows a deer walking the same path the mountain lion crossed on Friday. "I was a little freaked out," Cortese said when she first saw the video. "My stomach got a little sick. I went, 'Oh my God. Right in my front yard.'" Friday's sighting comes one day after a mountain lion visited a Palo Alto neighborhood, near three schools, prompting police to warn parents not to let their kids walk home from school. 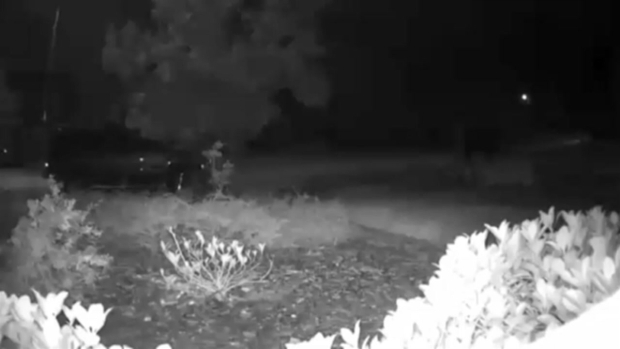 Surveillance video shows a mountain lion crossing a front yard in San Jose's Alum Rock early Friday morning. A day before, a deer was spotted crossing the same path. Cortese, who has pets of her own, said she also plans to contact the Department of Fish and Wildlife.